With the bookings of the FTR 1200 now officially open, Indian Motorcycle will bring this flat-tracker to India in two versions - the FTR 1200 S and the FTR 1200 S Race Replica. After making a debut at this year's INTERMOT, the Indian FTR 1200 will soon be available in India as the company has announced the pricing of its two upcoming models, the FTR 1200 S and the FTR 1200 S Race Replica. The base FTR 1200 won't be coming to our shores. The 1200 S carries an ex-showroom price tag of ₹ 14.99 lakhs while the Race Replica has been priced at ₹ 15.49 lakhs (Ex-showroom). To book this iconic flat-tracker, customers across the country can head over to their nearest Indian Motorcycle dealer and book their bike against a booking amount of ₹ 2 lakh. The FTR 1200 series has been inspired by the FTR 750 Scout racer, which is a revered name in the American Flat Track racing series. Both the 1200 S and 1200 S Race Replica are powered by a new, liquid-cooled 1,203cc V-Twin motor which churns out 118bhp and 112Nm of torque. The motor is mated to a six-speed transmission and a slipper clutch. While the 1200 S features a black-coloured frame, 1200 S Race Replica differs in terms of its colour scheme and it comes fitted with a red-coloured trellis frame. In terms of tech, both bikes feature a 4.3-inch LCD touchscreen instrument cluster along with selectable riding modes. The riding modes are further complemented by Bosch's stability control unit which works via a six-axis inertial sensor to optimise the stability and traction control settings depending on the bike's lean angle. With no direct competitor in the Indian market as such, the FTR 1200 S certainly brings an interesting prospect for biking aficionados in the country. 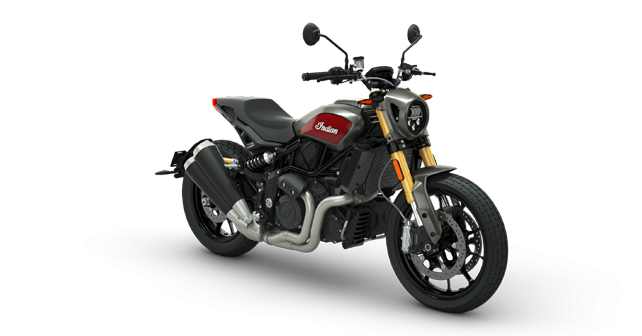 With the order books for both the bikes officially open, deliveries in India are expected to begin in April 2019.